We offer 24/7 humane Animal Control in Rockland County New York. We specialize in animal removal, animal trapping, damage repair, decontamination and exclusion work, ensuring that we permanently resolve your nuisance wildlife issue. Whether it is your business, primary residence or vacation home in Rockland County, we handle nearly all aspects of wildlife removal and control. We service the following counties and States, Orange, Dutchess, Ulster, Rockland, Westchester and Putnam Counties in New York. We apply our extensive knowledge of wildlife management services to create the best solution for your human wildlife conflict circumstance. Are you looking for Animal Control in Rockland County New York ? We offer same day wildlife removal service and we are available 24/7 for emergency situations in Rockland County New York. 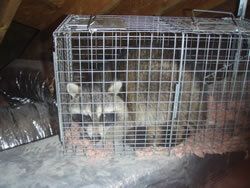 We offer the best Animal Control in Rockland County Guaranteed! Decontaminate (if necessary) and implement exclusion work to ensure that the nuisance wildlife will not re-enter your home in Rockland County. Wildlife Busters® will provide you with a guarantee on all work performed.